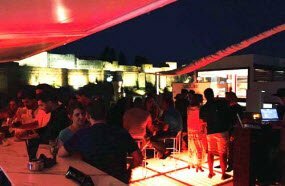 This is a sophisticated lounge rooftop bar that offers fabulous views to Alcazaba, the palatial fortification of Malaba. It is situated above the boutique Hostel Alcazaba Premium. It is near Plaza de la Merced, which makes it the most elegant lounge destination of Malaga. You can enjoy spirits, gins, and scotch as the sun sets in the ocean. 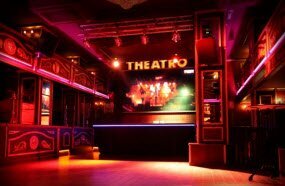 This is a gorgeous theatre themed cabaret club and bar in the middle of Malaga. It is a combination of Broadway glam and burlesque. Music: You will find an eclectic mix of comedy, live music, cabaret round the week. 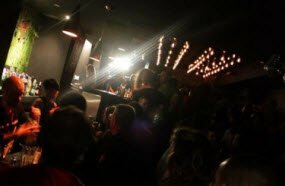 Métrica Club has persistently broody and smooth vibe with an pure and unpretentious ambience. The San Miguel beers can be easily afforded and you must give a try to the cocktail menu. 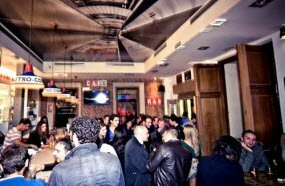 This is a ‘metro’ themed drinks bar in a pure urban setting, located in a very vibrant square of central Malaga. You can stop here for a quick Spanish bite, but you might find the serving of wine too small if you are habitual of getting a full glass of wine in bars. The location of Metro Copas is prime in the city and hence it is easy to reach. In addition, the food is low in price. All in all, you will enjoy the place with great music. This is a spectacular nightclub and music bar inspired from cabaret in the middle of Malaga. Located near Plaza de la Merced, it is easily accessible. 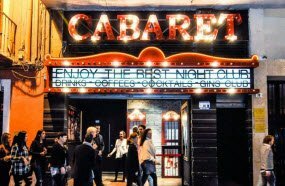 When you enter Cabaret, be prepared to part from reality since every single thing here is larger than life.